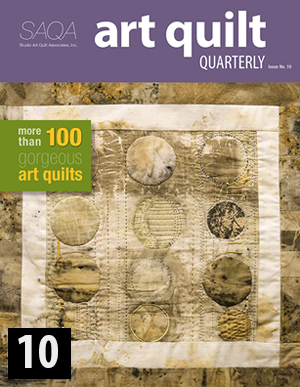 Single issue for $14.99. Shipping is additional fee. Please use drop down box above to select issue. 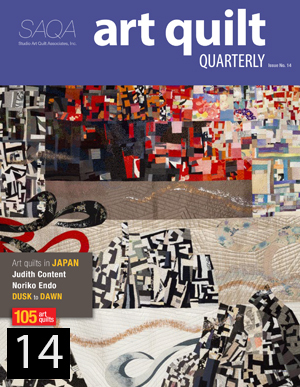 Art Quilt Quarterly is published four times a year and is filled with beautiful artwork and informative articles for collectors, art venues, museums, professional artists and art enthusiasts. 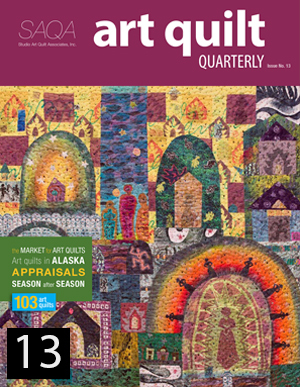 • A broad array of art to enjoy, including 60+ pages of beautiful artwork by SAQA’s Juried Artist Members (starting with Issue #8). 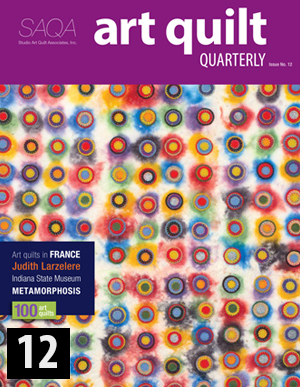 • Interviews with artists and other arts professionals that offer inspiration and guidance on how to navigate your creative career. 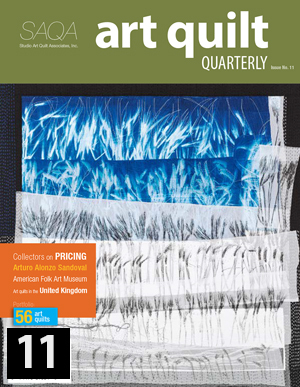 • Galleries of artwork from SAQA's traveling exhibitions PLUS insider details about select museum and private collections. For wholesale/bulk orders, please contact shipping@saqa.com.